Listing courtesy of Dielmann Sotheby’s Intl Realty. An Impeccable home surrounded by nature, exudes warmth and style throughout. Kitchen and baths are updated and it is generous in size with 3000sf plus a lovely finished lower level. Neutral rich tones and classic design are everywhere-wood floors, great room w/fireplace flanked by built ins and wet bar, kitchen w/ granite counters, center island and attached breakfast room. The outdoor space is breathtaking with both upper and lower level entertaining areas to enjoy. Surrounded by trees, it is private yet has spectacular views. 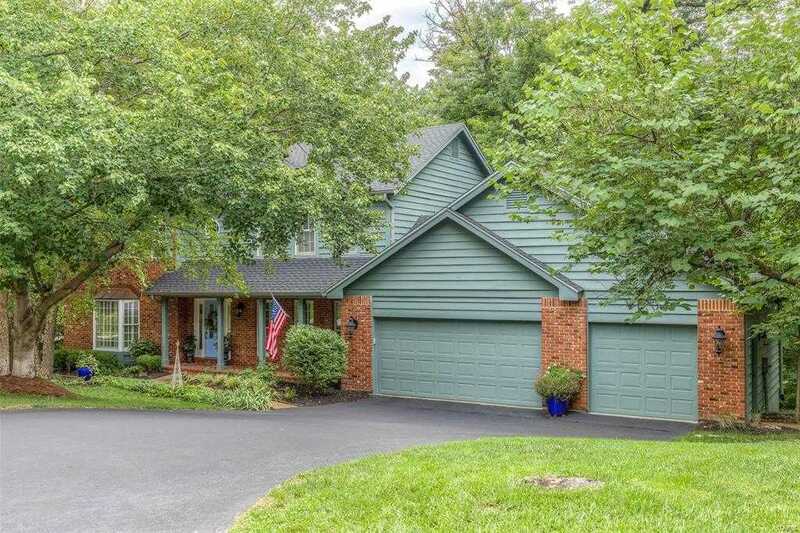 5 Beds/3.5baths, 3 car garage, main floor laundry and so much more. In close proximity to Babler Park, shopping and dining–this is the perfect home!